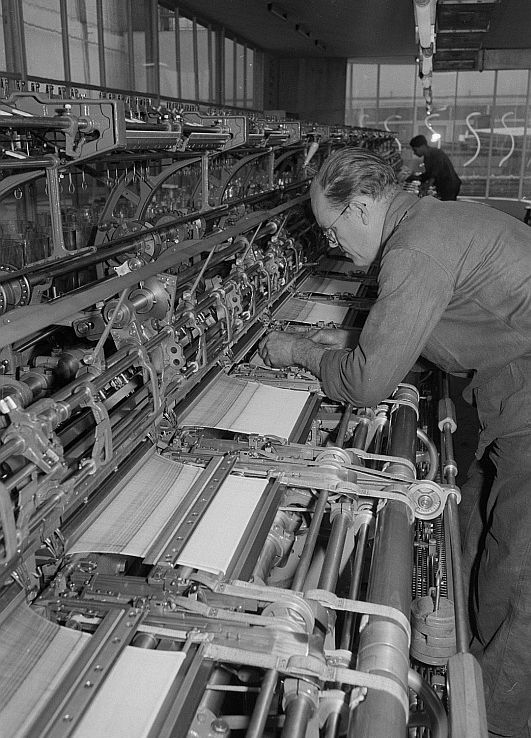 Worker assembling a machine to make socks at the VEB Textima in Leipzig 1953. Deutsche Fotothek Accession number df_roe-neg_0006479_018, photo Roger and Renate Rössing. File:Fotothek df roe-neg 0006479 018 Arbeiter montiert eine Flachwirkmaschine für Str.jpg by Deutsche Fotothek and licensed under the Creative Commons Attribution-Share Alike 3.0 Germany license.